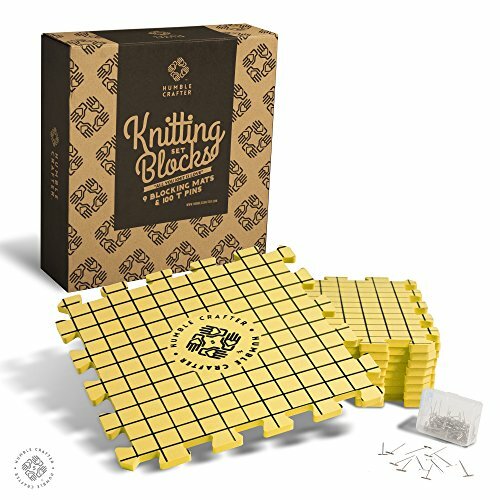 Humble Crafter believes in making your knitting and crocheting projects exceptional, that's why we created the first truly precise knitting block set. By arranging our mats 1 through 9 you are guaranteed to have a perfectly aligned grid with 1-inch squares to use for your next project. We print each set individually to ensure that no gridline is misaligned or doesn't match when assembled correctly. This means that when you assemble it in the 3x3 square, ordered 1 through 9, from top left to bottom right, you will have a perfectly aligned grid. We also included 100 T-Pins for your next project so you are fully equipped. We also offer multiple colors so you have the option of finding the right color for you. We hope our product exceeds your expectations.